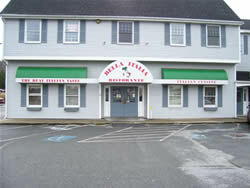 Bella Italia Restaurant in Tyngsboro, Massachusetts is the first joint business venture for Mimi Battista and Giampaolo de Mari. Mimi was born and raised in Siracusa, Italy. She learned to cook from her mother and aunts. Using only fresh ingredients, Mimi has perfected the art of simple Italian cooking. As the executive chef, Mimi prepares each individual dish, therefore creating a consistently delicious dining experience. Giampaolo de Mari is an experienced restaurateur with a passion for the business that runs in his blood. His parents lived in Naples, Italy until they moved to Colombia when Giampaolo was just a child. They then opened their first of three Italian restaurants in Colombia. Giampaolo was raised in the restaurant industry with his mother as chef and his father as manager. He brought many of his mother’s recipes with him when he moved to the states. Bella Italia has been open since May of 1997. The business has a reputation for consistently good food at reasonable prices. 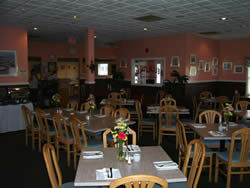 Bella Italia features some of the finest Italian wines, desserts, and sauces in the area. It is authentic, uncomplicated Italian cooking. Come sit by the fire and enjoy traditional Italian dishes in an intimate atmosphere.